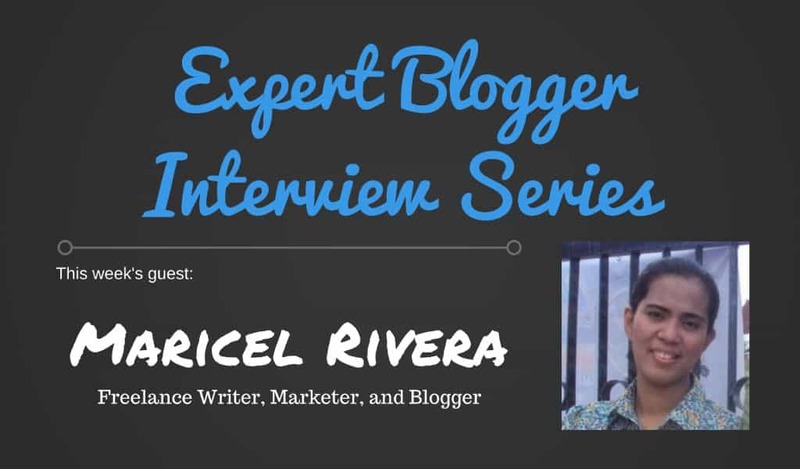 Through my Expert Blogger Interview series, I have rubbed shoulders with experienced bloggers who could teach me a thing or two. I have learned a lot based on my interviews with them and become a better blogger in the process. However, if there’s anything I would love more than interview successful bloggers, then it’s interviewing successful Filipino blogger. As a Filipino blogger myself, I take no greater joy than seeing my fellow countrymen make a living as a freelance writer and rip the online world with awesome content. Maricel Rivera fits the bill. As the owner of Rivera Writes, she has made a good enough living as writer/blogger for years that it merits an interview about blogging journey. In 2011, I was looking for ways to make money online when I discovered that one of my former colleagues was blogging and making money via Google AdSense. I asked him about it. Perhaps sensing I was serious enough to learn, he taught me the rudiments of blogging, sent me several PDFs on SEO, and even introduced me to Facebook blogging groups where I could ask questions, according to him. Despite his kind assistance, however, I made not a single cent with AdSense. AdSense, for some reason, would not accept my blog into the platform. But as they say, windows open when doors close. I signed up for oDesk. I wrote about a lot of things under the sun, mostly for SEO. I also did transcription for a short while. But when a certain “employer” refused to pay me for transcription work that took me eight hours to do (on a Sunday when I should have been spending time with the kids), I scrapped transcription from the list of services I offered and decided to focus instead on blogging/writing. I was working for a global financial firm as a voice writer. Basically, that was real-time transcription using software that transcribed everything I said into words on a document, which a real-time editor then cleaned up before publishing on an online platform that analysts from around the world use. When work was slow, we did research and data gathering tasks, too. There was so much to do with so little time. And because I mostly relied on free information online, to this day, I have the feeling I could have learned faster if I hired the services of a trainer/mentor. Information overload is real, and with so many people with so many different opinions, it can be difficult to pinpoint which methods to follow. That transcription client that pushed me to quit offering transcription as a service owed me a meager $10. I sent her emails, even contacted the husband, and when they no longer returned my messages, I decided it best to charge everything to experience, learn from my mistake, and move on. That blog post I wrote for a client that got published on Forbes. It was approximately 3,000 words long and an insane amount of research went with it. It doesn’t bear my byline, however. My blogging peers include you and Jimmy, and I think you both are awesome. I have learned a lot from you, guys. As for blogging greats I admire and aspire to emulate, I’d list Neil Patel, Jon Morrow, and Katherine Kotaw. Neil’s style is simple and straightforward, and Jon’s and Katherine’s lean more on the storytelling aspect of blogging. I don’t know how other bloggers think, but I can tell you that some of the best writers I know don’t think they’re good enough. Of course, depending on how they approach the thought, it can either be an impediment or the wind beneath their wings, so to speak. In my case, I think my strongest point is the fact that I accept there’s so much still I can learn, which makes me highly receptive of criticism. WordPress. You can use Blogger or Tumblr, or some other blogging platform of your choice, but to me, personally, I choose WordPress because it’s flexible and easy to work with. Yoast. Like it or not, when you blog, you have to do some SEO, too. The Yoast plugin for WordPress is a handy tool that analyzes your blog posts and then dishes out suggestions on how to better optimize them for SEO. Google Analytics. It’s an interesting tool, really. It shows you where your visitors are coming from, which articles are getting the most clicks, and how visitors behave when they’re on your website, among other things. SumoMe. The free version already carries a wealth of apps that you can use to build your list and grow your traffic. On a scale of 1 to 10, I’d say 4. It generates some leads and helps with my online presence, but there’s a lot of work still to be done. More long-form posts will be created. And by long form, we mean meaty posts at least 900 words long. The end of the clickbait era is looming near. 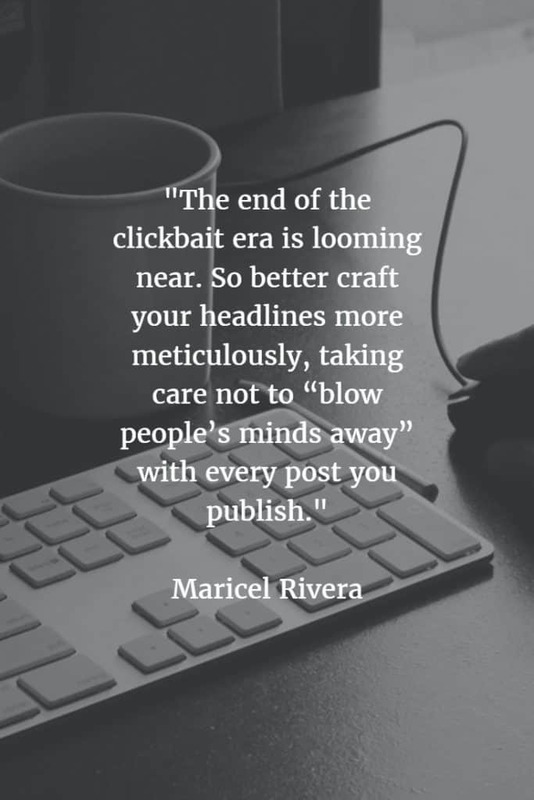 So better craft your headlines more meticulously, taking care not to “blow people’s minds away” with every post you publish. If you’re a blogger relying on display ad revenue, it’s perhaps high time to consider other monetization avenues. “Banner blindness” among readers and site visitors is on the rise, and ad blockers are increasingly being used. This means less ad revenue for you. Mobile usage will continue to increase, so ensure your blogs are mobile-responsive. Blog posts with images and videos perform better than purely text-based ones. Find your niche and build a list.